First Peter focuses on the importance of believers bearing under unjust suffering yet continuing to live well. It’s the New Testament Job. 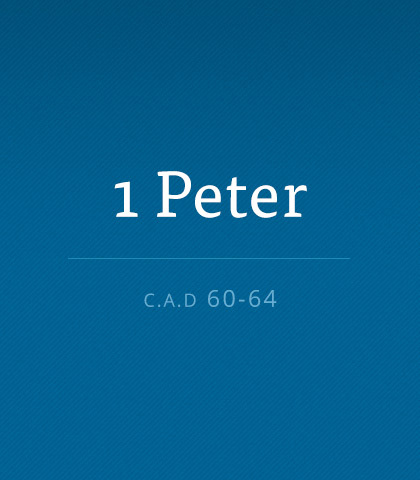 Read more about the book of First Peter. The Apostles’ Creed is the Church’s statement of faith—but it is not often explained! For personal study, it’s helpful to use a Bible commentary. A commentary examines Scripture verse by verse and sheds likes on difficult passages. Three good questions to ask when considering a choice are, is it wise? Do I have peace? Does it show respect for other people? Sometimes when things don’t go our way we get upset. Changing our perspective on the situation may be all we need to calm down. If you’ve ever been in that muddy hole called the Slough of Despond, you can relate to Christian in The Pilgrim’s Progress. Despondency, or the pits, is really pessimism. It’s a gloomy, negative attitude, which often comes when we rely on ourselves instead of God. Whenever negative thoughts come knocking, don’t open the door. Instead, turn your thoughts to God. The whole idea of Christmas revolves around the idea of a gift, appropriately enough. Giving and receiving gifts at Christmas is often a touching and sometimes surprising experience. There are some trials in life you just can’t find reasons for. They hit you hard and you’re left wondering. But it’s often during these times of testing that God deposits some of His best lessons into your life. Discipline is the “D” word that nobody likes but everybody admires. It’s the stuff that happens when nobody is looking or applauding. It’s the hard work of what goes on behind the scenes and results in excellence. Bravery is not just limited to war—daily life can be a battlefield. If you’re facing a tough situation requiring great courage don’t compromise on what you believe. The world needs people who are committed to standing alone for the truth. Our confidence is in Christ, not ourselves. He is the One who calms our fears and gives us the courage we need in times of suffering. The Bible tells us to watch for Satan’s attacks because they will come. And when they come, the Bible tells us Jesus in us will give us the strength to resist temptation.